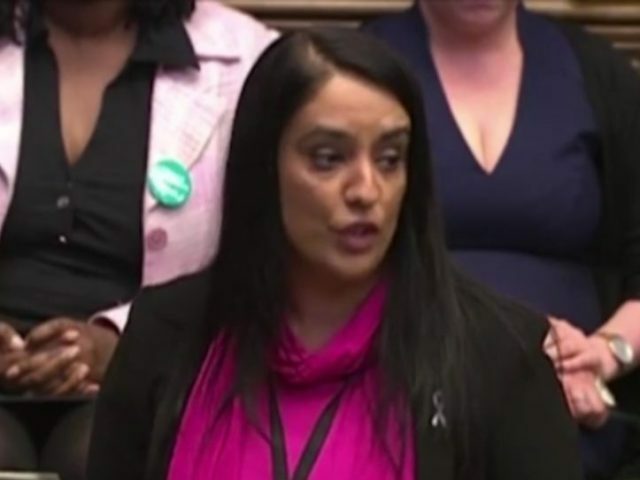 Bradford West MP Naz Shah has been suspended from the Labour Party following allegations of anti-Semitism. Ms Shah had made comments on social media two years ago calling for the “transportation” of Israelis out of the Middle East. She has also been connected with Labour colleagues who have made extremist statements about the Middle East conflict. Labour first sought to defend Ms. Shah and have now suspended her without any explanation for the change of heart. This morning Ms. Shah was found by the Jewish Chronicle to have co-chaired a charity with a Labour Councillor who has explicitly linked the Gaza/Israeli conflict to the Holocaust. The councillor, who was employed by Ms Shah as a taxpayer-funded aide was also found to have used the offensive term “Zio” regularly to describe Jews on social media, while Ms Shah had been found to have shared a number of his posts on social media, including one comparing Israel to al Qaeda. The discovery further piled pressure on Ms Shah, who sits on the Home Affairs Select Committee, to step back from taking part in an upcoming inquiry into anti-Semitism by that committee. By late morning Lisa Nandy, the shadow energy secretary was calling for Ms Shah to be suspended from the party, telling the BBC’s Daily Politics that it was party procedure for anyone accused of anti-Semitism, and that a special exception should not be made for Ms Shah. But party leader Jeremy Corbyn appeared to be avoiding that option, releasing a statement shortly afterwards in which he said he had “made it clear” to Ms Shah that her posts were “offensive and unacceptable,” but added: “These are historic social media posts made before she was a Member of Parliament. A few minutes later, (despite Mr Corbyn’s pre-emptive reference to it), a full apology by Ms Shah to the Jewish community was published by Jewish News. And she acknowledged that, at the time the Facebook post was made during the summer of 2014, “Feelings were running high across the world and Bradford was no different. Hindsight is a wonderful thing and I’m shocked myself at the language I used in some instances during the Gaza-Israel conflict. She added to this statement with a verbal apology in the House of Commons this afternoon, saying: “I accept and understand that the words I used caused upset and hurt to the Jewish community and I deeply regret that. Antisemitism is racism, full stop. As an MP I will do everything in my power to build relations between Muslims, Jews and people of different faiths and none. Ken Livingstone tells LBC the decision to suspend Naz Shah is a mistake "what she said was over the top & offensive it wasn't antisemitic"
The allegation appeared to raise its head again today, when Buzzfeed News published an article claiming that Ms Shah had been forced to edit her statement to the Jewish News to remove references to Nazis and anti-Semitism. Buzzfeed claims to have seen the original draft, and says that an admission by Shah that “I helped promote anti-Semitic tropes. This was totally wrong,” was edited out by Labour HQ, as were concerns about “toxic conspiracy theories, group-blame and stereotyping,” which proliferate on the left. “We on the left must stop procrastinating and tackle oppression within our own ranks, especially anti-Jewish oppression,” Shah allegedly wrote. The line does not appear in the published statement. Labour have denied that they played any role in editing the statement. Labour HQ on Buzzfeed article: “This claim is completely inaccurate.” Says apology “was not seen, written, edited or approved by Labour HQ”. At around 4pm the Labour Party issued a short statement confirming that Ms Shah had been suspended. It read: “Jeremy Corbyn and Naz Shah have mutually agreed that she is administratively suspended from the Labour Party by the general secretary.